thats it, no more long weekend for us, we'll be facing holiday drought until December! I planned to have a fruitful long weekend, to tidy up my 404 errors, tidy up my photos (to further compressed as suggested by Google!) but none of that happened. By the way, do tell me if the photos in this Quick Chicken Thai Basil Stir-fry post look dull and pixelated. I am not happy with the result but I am experimenting anyway. We are coming to an end of second month of autumn, however it feels like summer refused say its farewell. Due the warm-ish weather, my thai basil plants are doing exceptionally well. Every shoots starts to flower almost immediately. 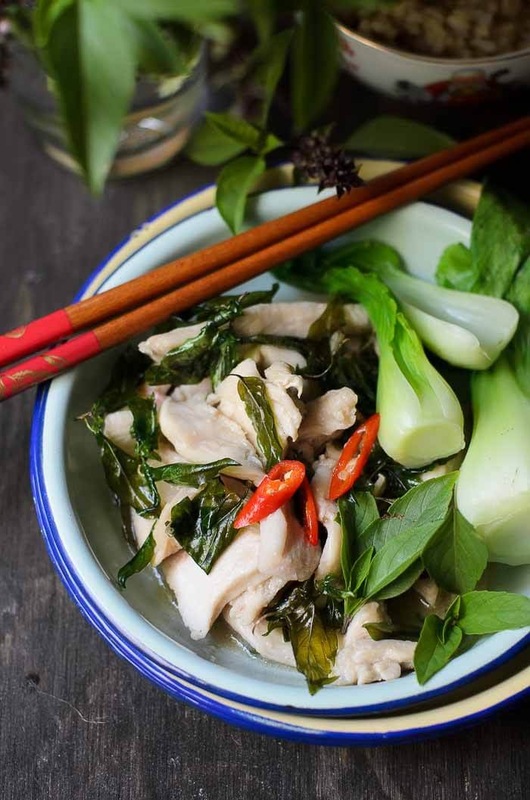 Not wanting to waste the cuttings, a simple quick chicken thai basil stir fry with a cut up chillies sound like a complete and delicious dinner to me :D.
This Chicken Thai Basil Stir-fry is really a quick and easy meal to cook on busy mid-week. 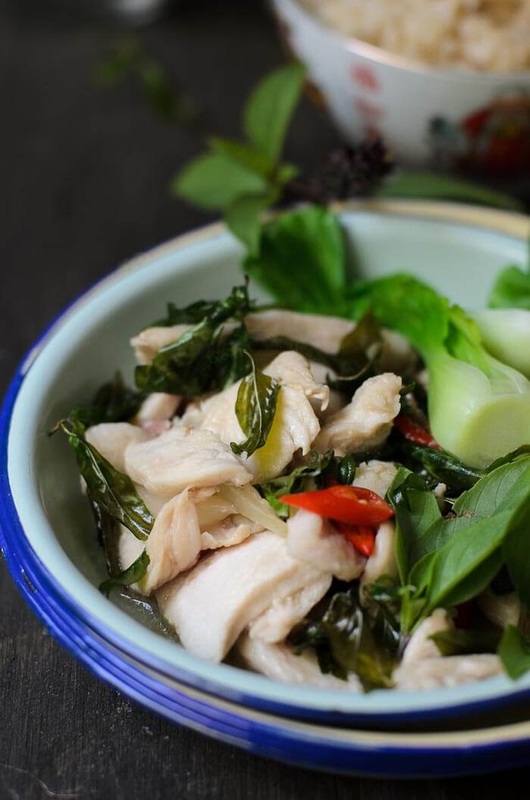 What I like about this chicken thai basil stir fry, is the crispy deep fried thai basil leaves. The flavour is just awesome! 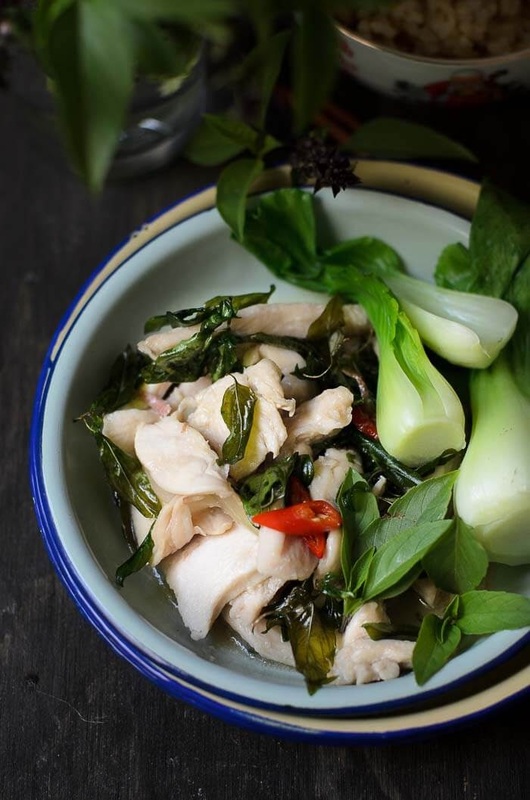 Plus using the same oil to cook the chicken pieces, enhances the thai basil flavour on to the chicken. 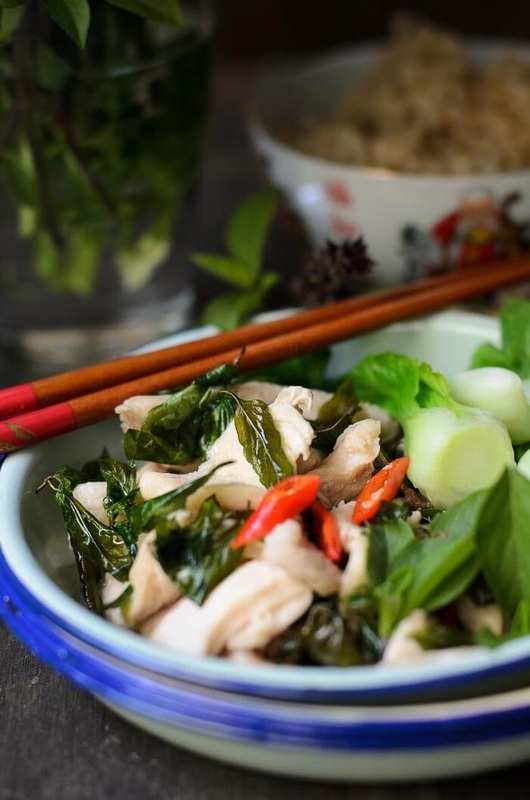 If you have thai basils in abundance, gives this dish a try, with a little tweak here and there to your liking :P.
Chicken and Thai basil stir-fry is flavourful with crispy deep fried Thai basil leaves. Heat wok until very hot. Add thai basil leaves and fry until wilt and crispy. Scoop and set aside. Leaving about 1 tablespoon in the hot wok, add in chicken. Stir for a few minutes, then add chilli, galangal, fish sauce and sugar. Mix the corn flour in water, add to the wok. Cook for further 2 minutes to thicken the sauce. Quick, healthy and delicious...the chicken looks really tender, Lisa. I can imagine how tasty it is ! Happy weekend. chicken pieces look uncooked and too white contrasting with the greens. I thank you for your input, Mrs Singh. I was working on the photos, trying to comply with Google’s new guidelines.